As a child I can recall watching countless hours of Babar with my younger sister. I love the fact that my girls now can watch the same great shows that I watched as a child. 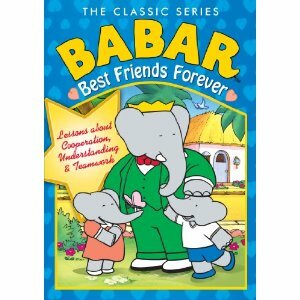 You can purchase Babar Best Friends Forever at WalMart. Follow Party of 5 via GFC and leave a comment telling me who this dvd would be for. gfc follower and this would be for my son.